The IPM team has been making progress although they are currently facing some difficulties in terms of capturing evidence of rats visiting on-campus trash cans. However, this does not mean the team has given up and only serves as encouragement to come up with creative solutions to finding these unseen creatures. Some of these new ideas include targeting overflowing trash cans and changing up the location of the cameras. Additionally, the task of setting up the cameras at night and picking them up in the morning requires a great deal of coordination between the team members, especially when there is no set location. Even with this initial obstacle, IPM team still has 3 more weeks to catch these pests in action. 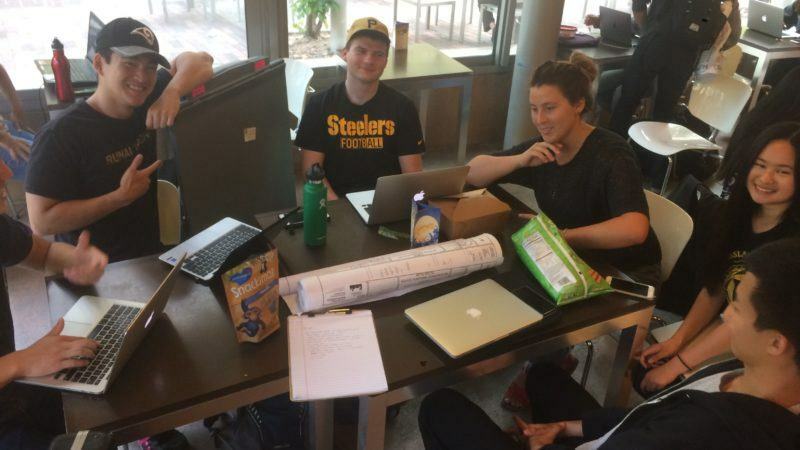 Beyond the motion-sensing trail cameras, the IPM team obtained new GIS data on UCLA buildings, trash can locations and vending machine locations – all of which will help the team create a more comprehensive and robust map. And with the Bigbelly trash cans, the order was finally placed, so it it’s just a waiting game for the infamous technology to arrive. 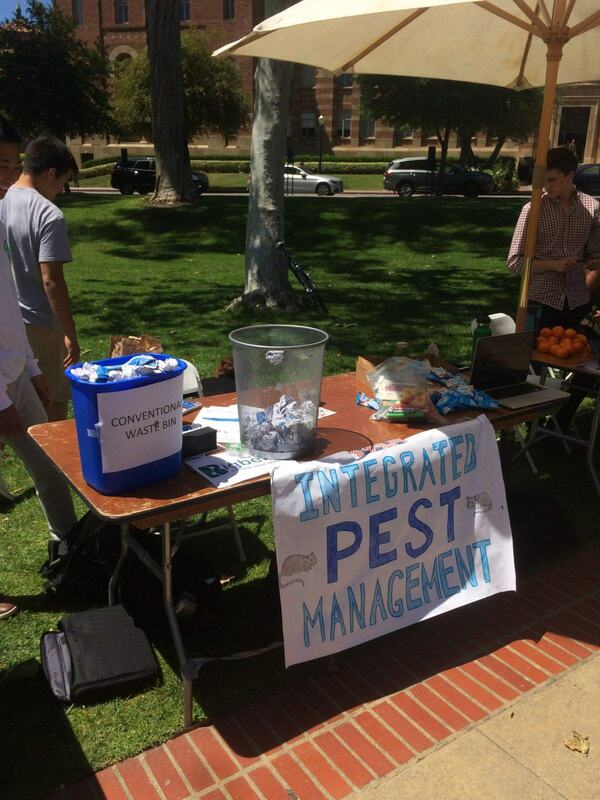 Lastly, the IPM team tabled at Earth Day Fair with an open survey to better understand people’s opinions on rodenticide and UCLA’s current waste collection system rather than include the pin the tail on the rat game. The IPM table also had a demonstrational game that showed the effectiveness of new Bigbelly trash bin by allowing participants to throw recycled paper trash into two bins – one that would periodically have its content compacted and another that is left alone. Overall, everyone had a lot of fun learning about what the IPM team is working on, sharing their opinions for the survey and playing the interactive waste game.